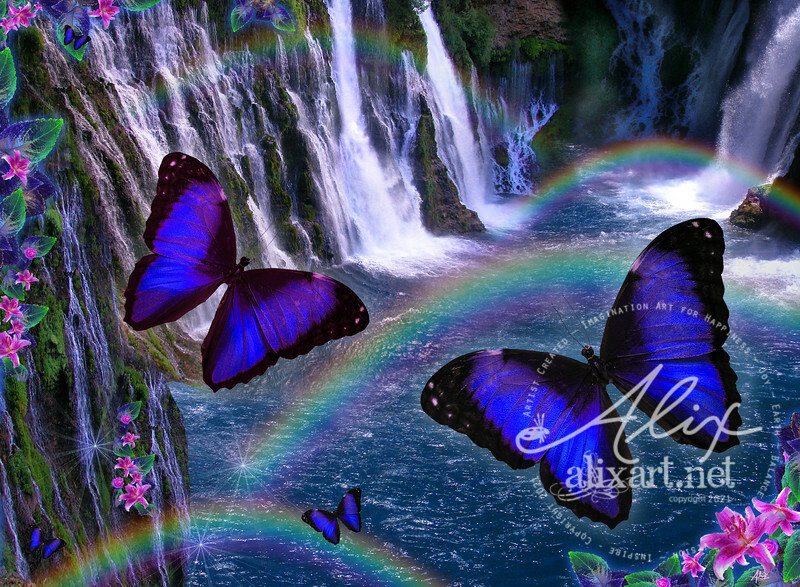 The majestic blue morphed butterfly floats and flutters above a rainbow reflecting waterfall. This image was created using inspiration from one of Northern California's most amazing waterfalls, McArthur Burney state park's Burney Falls. The butterfly featured in this art is native to Peru.